There will be a new shop "Groundhog's Stash" for this event located on the left, below "Hot Events". 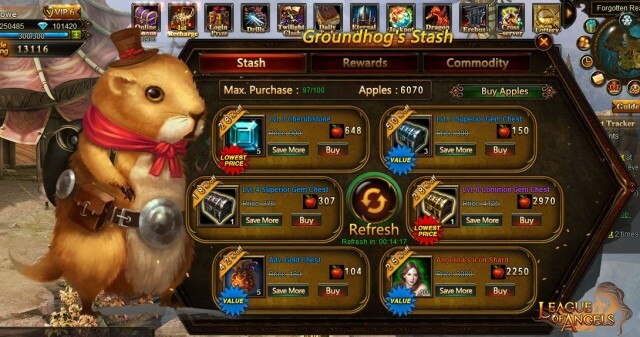 Buy items with Apples from the Groundhog's Stash for a discounted price; they will be up to 90% off. One of the available items is Angelina's Icon Shard. Collect 100 to unlock her! - Apples can be obtained from Total Recharge Rewards or exchanging Diamonds or Vouchers at a 1:1 rate. - Use the "Save More" button to further increase the discount. - Players receive 1 point for each Apple spent. Extra Apples and Soulstones may be collected in the Rewards menu after enough points are acquired. - VIPs can purchase more of the same items. 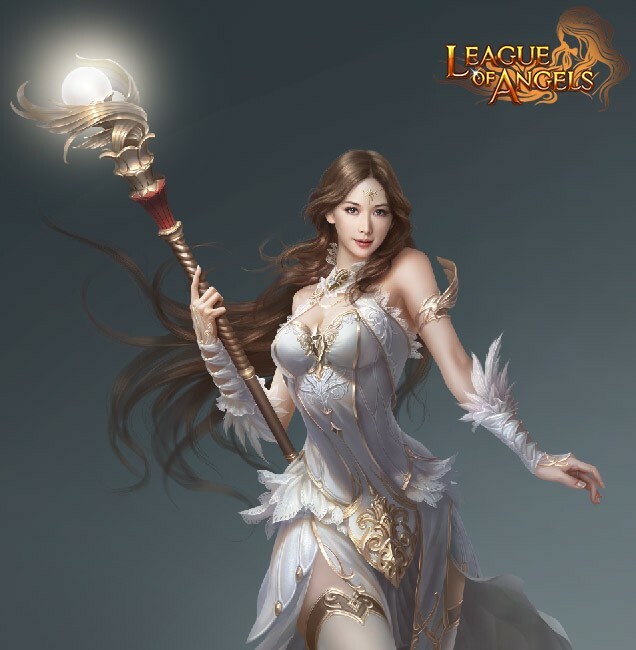 Description: Cumulatively recharge certain amounts within 1 week to get special rewards! Note: The rewards may be collected from the Recharge Reward menu.